The curriculum of our structured doctorate programme offers a variety of different elements. Experimental research work constitutes the major component of the doctoral programme and will be conducted in the laboratory of an LSM faculty member. Research activities are complemented by lectures, seminars, workshops, conferences and tutorial courses as described below. Instruction is entirely in English. Information about offered courses and lectures is updated regularly. The participation in transferable skills- and method courses are managed via email with the administration office. LSM students will be contacted in due time with the sign-up for each of the offered workshops. On offer! the LSM office has two laptops available to lend to its participating doctoral candidates. Software currently installed: Matlab, R, Microsoft Office. Should you want to borrow one, please note that it is necessary to get insurred for the applicable semester via the Microbiology secretary (Mrs Grazyna Wlodarska-Lauer, in room E01.022, sekretariat.mikrobiologie@lrz.uni-muenchen.de ) Please contact her prior to make arrangements. Cost just 13,20 Euros. Once you have this completed arrange a pick-up time at the LSM office, where you sign for the laptop. Maximum time is limited to the insurance time frame, so ideally come at the beginning of term! Transferable skills courses: LSM Students are offered training in transferable skills covering a wide range of topics including scientific writing, grant proposal, communication skills, presentation skills, self- and time management, leadership skills among others. LSM students should participate in at least 3 two-day transferable skill workshops till the end of their doctoral study. Courses offered outside of the LSM programme are accepted, please submit the certificate of participation to the LSM office for recognition. Method courses: 5 day methods courses will be organized by faculty members of the Graduate School and offer students the opportunity to learn more about advanced methods and techniques that are not routinely used in their laboratories. 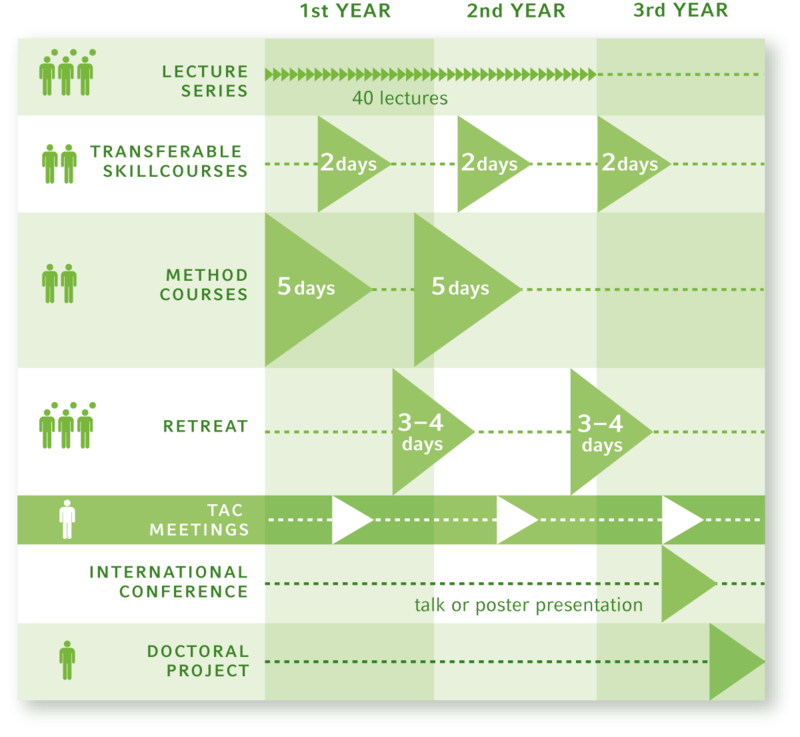 LSM students should participate in at least 2 methods courses during their doctoral programme. Alternatively, doctorates are invited to organize a method course in a lab abroad (LSM can support with funding). Do you want to practice your skills on Matlab, but do not have the software? Why not borrow an LSM laptop? see above for more details! Retreat: LSM students should participate twice in a 3-4 days retreat during their doctorate and they should support the organisation of at least one unless, students are also involved with an SFB research group. In which case, two SFB-retreats, participation of the same, properly documented and handed into the LSM office, will be given the equivalent to one LSM retreat, without the organisational support. The retreat includes social activities like skiing, hiking and archery with workshops on topics such as Bioethics, Fit for the Job, and open topic. LSM students will also be given the chance to present their work in the form of a poster or talk during these retreats. Lecture Series: During the semester a regular LSM Lecture Series is offered with internal and external speakers. International scientists from top-ranked institutes are invited to present ongoing research and current topics in highly interesting and fascinating research areas. The attendance of at least 15 lectures, from the LSM lecture series, and 15 external lectures offered by other institutes on the CampusMartinsried or at the University are compulsory for LSM students, during their doctoral study. The remaining 10 lectures are of your own choice, either to be filled as LSM lectures or as external ones. In summary, by the end of the doctorate 40 lectures in total have to be attended by LSM students. The external lectures (offered by other institutions on CampusMartinsried or at the University) have to be proven by the signature of the speaker or host. Download here! Thesis Advisory Committee: The progress of each student's research project will be supervised by a thesis advisory committee (TAC) consisting of the direct advisor and at least two expert scientists. The purpose of the TAC is to monitor the progress of the doctorates' work and to advise him/her regarding the development of the research project. TAC members are also available for discussions outside of the formal meetings! The TAC decides whether the results obtained by the doctorate are sufficient to fulfill the criteria of the doctoral degree and whether the student will be admitted to the thesis defense. LSM students should attend at least four TAC meetings during their curriculum. Conferences: Students are expected and encouraged to present either a poster or talk when attending their international conference of choice during their doctorate study. Information on the travel fund! Institute seminars / Journal Club: Student should participate in the progress report and/or journal club seminars offered by their individual LSM faculty members, where they perform their experimental research work. It is necessary to fill in the group seminar form and follow the instructions on it. Worried you cannot keeping track of what you have or haven't completed? Where do I earn my ECTS points and for what? LSM students will receive a status report after each completed semester.